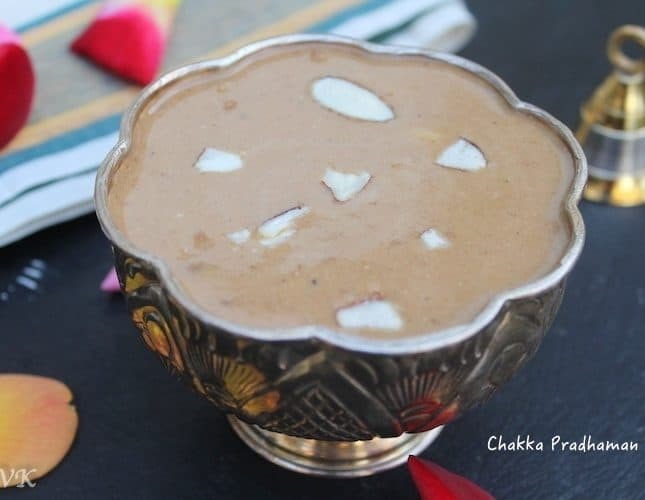 Chakka Pradhaman – Jackfruit Kheer or Payasam is a traditional sweet delicacy from God’s own country, Kerala. 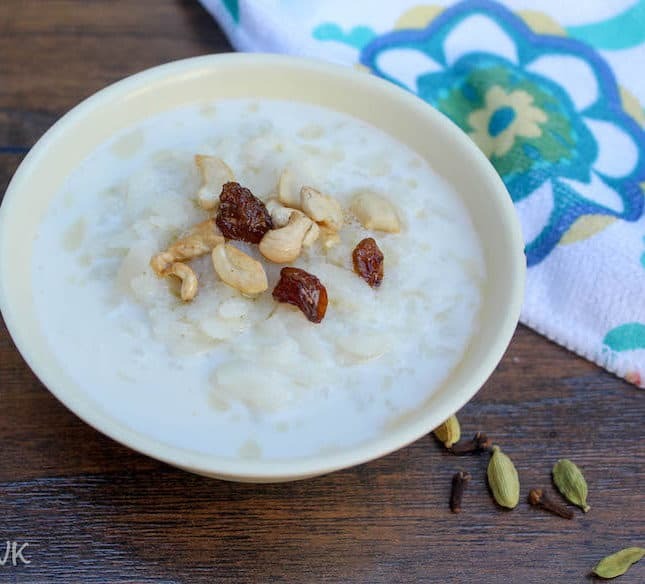 I prepared this as a vegan kheer, by adding coconut milk instead of regular milk. Basically, this recipe is prepared by cooking the jackfruit pieces and then it is pureed. Then it is simmered with coconut milk and jaggery. How can this go wrong huh? 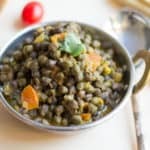 This week theme for the BM is festival recipes. 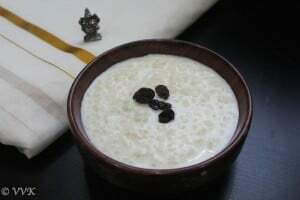 For any festival or function or even any auspicious day, we make kheer/payasam, vadai, pachadi and kosambari or kosamalli. 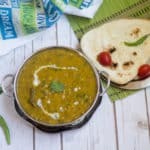 When these festival days falls on weekend, there is no issues in preparing these dishes. But if it falls on weekday, morning becomes really hectic and crazy. 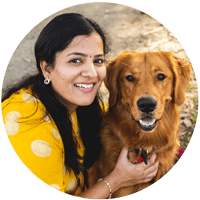 With packing lunch boxes and preparing neividiyams, it becomes really difficult. 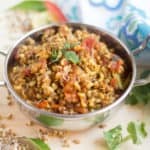 Here are three dishes that can be prepared with less than 30 minutes. The first one is the kheer. I am using evaporated milk and condensed milk along with regular milk. Evaporated milk is dehydrated milk and it has longer shelf time. Basically as we say tamil it is the sunda kachina paal. It saves a lot of time. Heat a heavy bottom vessel and add the 3/4 cup of regular milk. Let it heat for about 2-3 mts and then add the vermicelli. Let the vermicelli cook for about 4 mts. Now add the evaporated milk and condensed milk. Mix well and make sure the condensed milk dissolves completely. Add the crushed cardamom and cloves. Let it simmer for about 6-7 minutes. 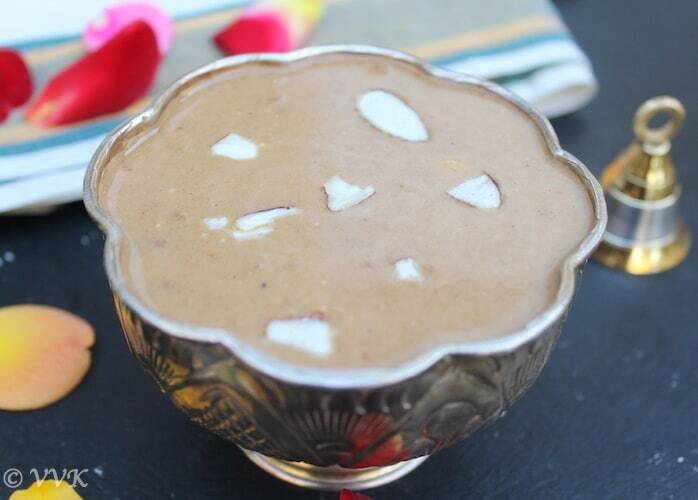 In a separate kadai heat the ghee and roast the dry fruits and nuts and add it to the kheer. Thats it, yummy kheer is ready within 30 minutes. As I have mentioned before, most of my dishes are handed down by my mom. 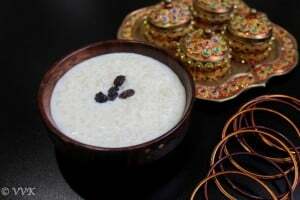 I do make some slight variations according our taste, but this kheer /payasam recipe is my mom’s recipe without any change. 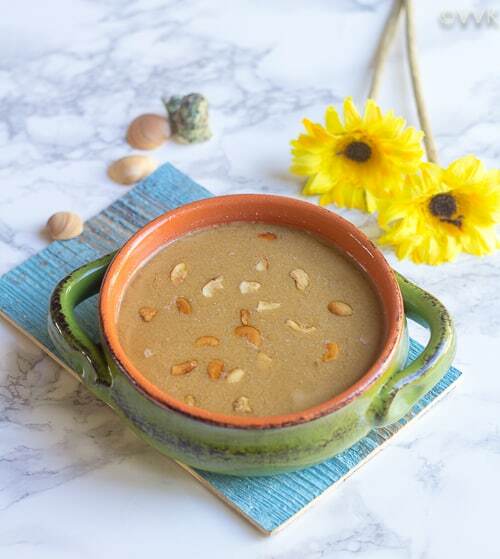 (Ee adichan copy – meaning copied ditto) For this recipe amma doesn’t use any cardamom powder or cloves and any nuts. Its just rice, milk and sugar but it tastes heavenly. The month of Adi(Āshāḍha) is going to start from next week and lot of pujas and virathams will start too. I got my pujas date list from MIL yesterday. :-) So thought of posting this today so that we can make this for naivedyam also. Heat the kadai and dry roast the rice without any oil for 5 minutes or so. In a heavy bottomed vessel, add the 5 cups of milk. Once its about to boil (Pongu varum bodu), reduce the heat. Now add rice and let it cook in the milk. you will notice that the milk quantity slowly gets reduced. Add sugar and once the sugar dissolves, thats it. Rice kheer is ready. As we are adding rice, milk gets absorbed fast, so if required add boiled milk before serving. 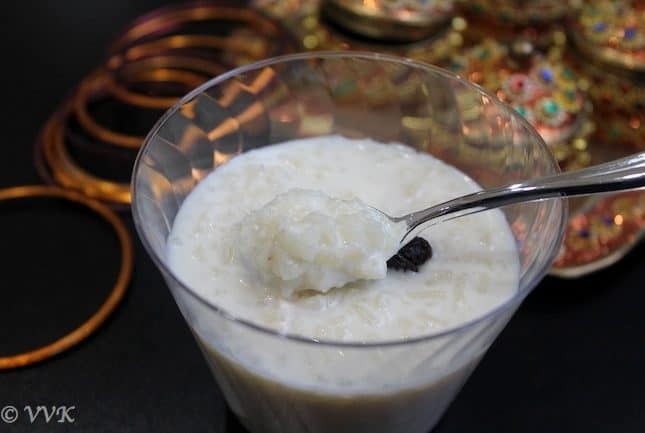 You can serve this kheer either hot or cold. 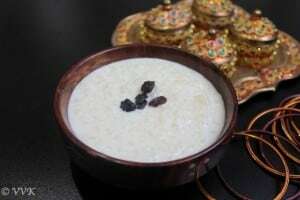 Today I am going to share a paayasam/payasam or kheer recipe. 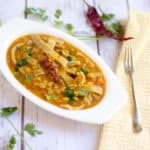 It is one of the easy and quick paayasam to make. 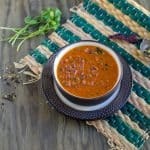 It just takes half an hour to prepare this, yummy paayasam. I make this on any festive days, especially if it falls on a weekday.